Today's guest is my author friend M.O. 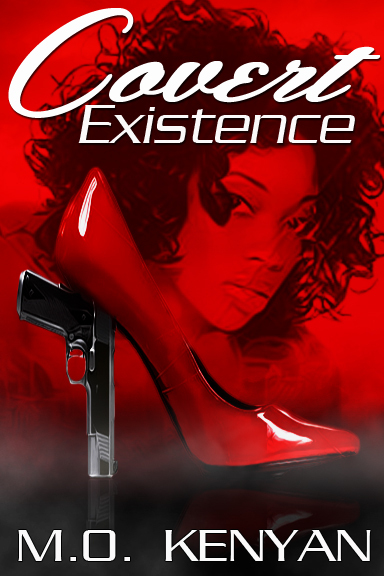 Kenyan, whose newest release, Covert Existence has just been released this week. Welcome, my friend! Thank you for dropping by for a chat. 1.Before we start talking about your book, why don’t you tell everybody a little bit about yourself? I am a daughter, a sister and a lover of life. 2. Besides writing, what other things do you enjoy doing in your spare time? Basketball, music and watching series. Right now I am watching One Tree Hill. I love the Nailey romance. 3. What is your daily routine as far as when you have an idea for your story? When I get an idea I write it down on my note book. I build up on the idea until I am ready to write the story. I have learnt that rushing into a premature concept, doesn’t help. It only stalls the progress of the story. 4. Where do you get your ideas from? From life. I think every author just writes about life in their own way. Sure, not everyone will have some wisdom or life lessons. But we write both what we know and what we don’t know. Its basically life and for a few days, weeks or months we are our characters, experiencing life through them. 5. Out of all of the stories you’ve written so far, what would be your favorite and why? I think my favorite is yet to come. But right now the story closest to my heart is Covert Existence, released on the 9th of July. 6.Tell us something funny about yourself that not a lot of people know about? I am a bit out there. People who don’t know me say that I am quiet. People who do, know that in my mind there is a mouse on a wheel. 7. Are any of the stories you’ve written based on real life experiences or are they basically just from imagination? Life experiences. Even if its fantasy, I believe including something that happened brings it closer to reality. Even if its just a paragraph, scene of chapter. If my readers read all my books back to back, I think they could probably piece together an important moment in my life. 8. Does your ‘muse’ have a name and if so what is his/her name? My muse is the world, life and the mouse in my head. 9. What other genre besides the one you are writing about now would you like to venture into writing? I don’t think I would change genre. Romance is my thing. Maybe when I fall in love I’ll write about something I don’t have at the time, a G-5. But I would love to write a script. 10. Who are your favorite authors that are out now? Jamallah, M.J Kane, Delaney Diamond, Stephanie Meyers and I have to include the person or people who wrote the One Tree Hill story. I won’t get into depth with that, but you can read about it on my blog www.mokauthor.wordpress.com. Basically I love how they developed one character in particular. He is the father that I always wanted, the boyfriend that I never had and the husband God has planned for me. Every OTH fan loves Nathan Scott. 11. Who is your favorite female and male characters from your books and why? My favorite female character has to be from my book DENOUEMENT, she is just as lost as I feel sometimes. Like her I wish I could compose my life story, set a path and follow it to the end. I get lost in the darkness sometimes and that is Marietta Parks. I would love to know what comes tomorrow. But God did not intend for us to take shortcuts. Male character has to be Reece Morgan from my 9th July release COVERT EXISTENCE. He is forgiving and gracious. He falls in love and holds on to that love. He is hopeful even though the girl he wishes to spend the rest of his life with disappears. He knows what true love looks like. 12. What do you think is the hardest thing about being a writer? I don’t think I have reached that stage yet, where I find writing about something difficult. That requires a piece of yourself, a piece of your reality. I don’t think I have matured yet, emotionally to get to that point. That is why I hold out on writing some projects, scripts and books, that I really want to start. When I get there everyone will know it. It will be my favorite story. 13. What advice would you give someone who wants to start off being a writer? Start small, start big. But whatever you do keep true to yourself. Do not let anyone compromise your story. It is your story and only you can tell it. 14. If you hadn’t become a writer, what do you think you would be doing right now? I am in school, studying communications. But I know that telling stories would have always been part of me. I have too many daydreams to bottle up inside. I want to write a script one day and have everyone see my story the way I saw it in my head, but in their own way. Well now that we got the questions and answers out of the way…..why don’t you tell us about your latest story you have out now? Charlie Montgomery has always wanted to emerge from her father and her fiancé’s shadow. Her desperation surpasses her need for love and family. When a chance comes up to further her career she takes it. The timing is terrible, Reece Morgan has just proposed and they are planning a life together. Charlie infiltrates a mob family with terrorist ties. Three months later she discovers she is pregnant. But she already has her career booster in her hands and can’t bear to lose it. Charlie does the unforgivable; she hides the baby from its father, Reece Morgan and tells the mob boss, Alexander Corisi that he is the father of her baby. Six years later after waking up alone, on what should have been the best morning of his life, Reece Morgan finds himself in a case tied to Charlie’s father, General Charles Montgomery. Standing in the same room as the man who was supposed to be his father in law is too much for Reece to bear and his animosity shows. 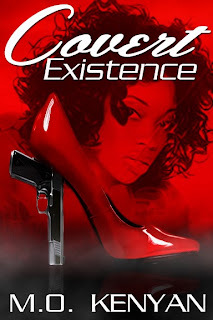 Reece now has to bite the bullet and accept a protection assignment of a little girl living in the General’s house. Barely an hour after he has custody of the girl, she is kidnapped. But the circus of events does not end there as Charlie returns home. Charlie now has to get help from Reece without letting him know that he has a daughter. But there are so many issues between them that make working together a difficult chore. The danger surrounding them seems to have a protective effect on Reece as he begins to treat Charlie as if she had never left. But his sweet nature soon disappears when he finds out the little girl strapped to a bomb is his daughter. Reece and Charlie are able to save their daughter, and in the end he asks her to marry him again. This time he doesn’t give her an opportunity to say no. Marietta Parks believes that the only way to stop surprises from happening in life is to control your own fate. Paying attention to every detail she scripts out her own life. Leaving love, romance and children out of it. But then she meets a man who just has to be added into her story, Tobias Harden was the man of everyone’s dreams but t her he was a lovely addition to her already scripted life. Tobias Harden was the modern day Casanova. Love was not in his vocabulary, and he was allergic to the word commitment, like poison Ivy to the bare skin. A chance kiss with Marietta Parks makes him question his single life. He was to be the best for her, and oddly enough she happens to be the only woman he wants to kiss. Tobias convinces Marietta that she needs him in her life. But after three years of marriage and life’s obstacles, he finds himself in bed with another woman. He has to convince her that he is still the man for her, especially now that she’s pregnant. Thank you for visiting with me today, M.O. Kenyan. It has been a pleasure. Thank you for visiting with us Ann Swann! !